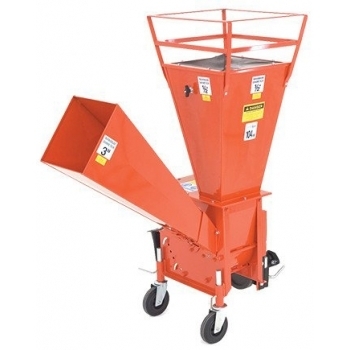 The chipper shredder has the benefit of separate infeed chutes for chipping and shredding. 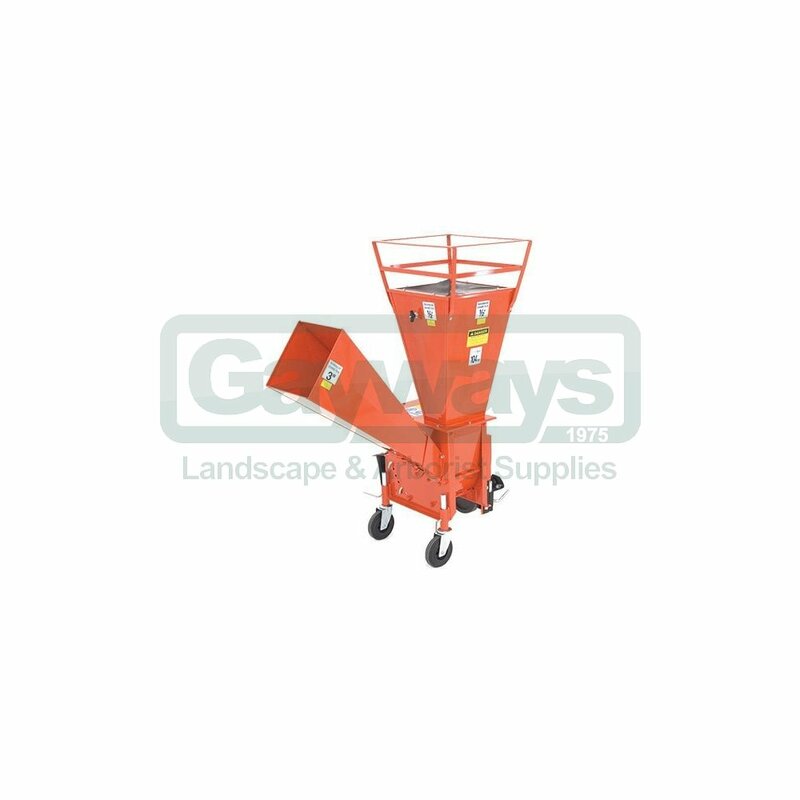 The chipping chute has a high carbon steel chipping blade mounted on a 2cm thick flywheel for reducing branches and woody material up to 7cm in diameter. 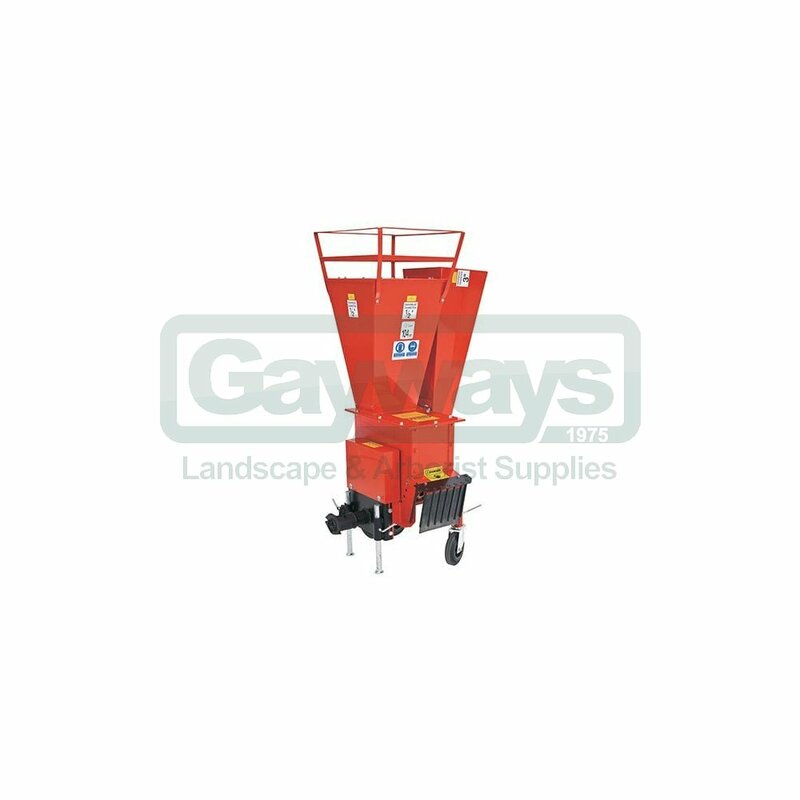 The shredding chute is fitted with 28 swinging flails which will shred brush and green waste up to 2½cm diameter. 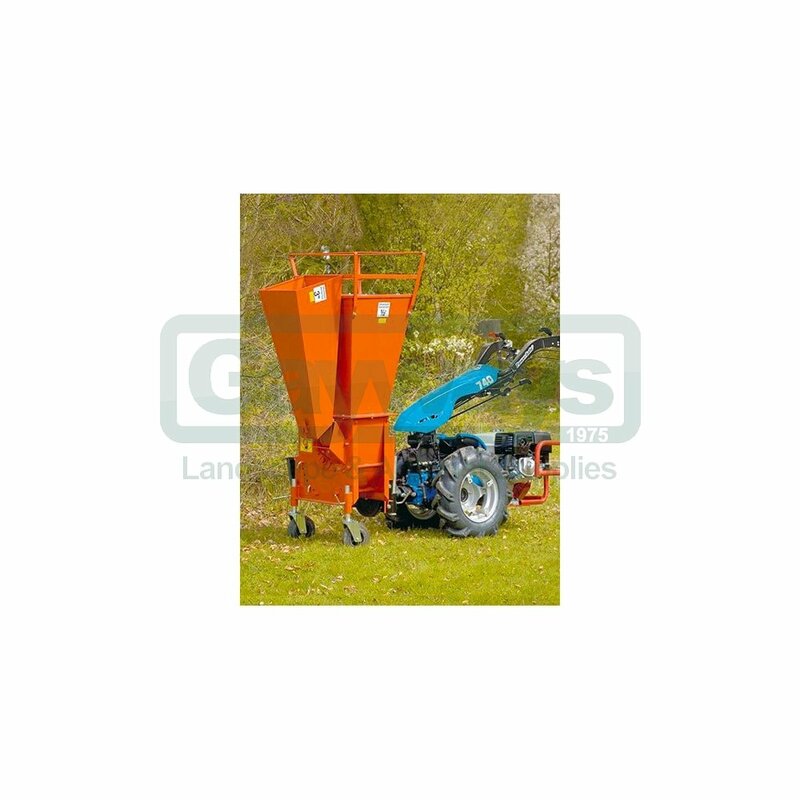 The chipper shredder is easy to manoeuvre thanks to the two adjustable castor wheels, and for additional stability during operation there are two adjustable legs which can be locked in position. 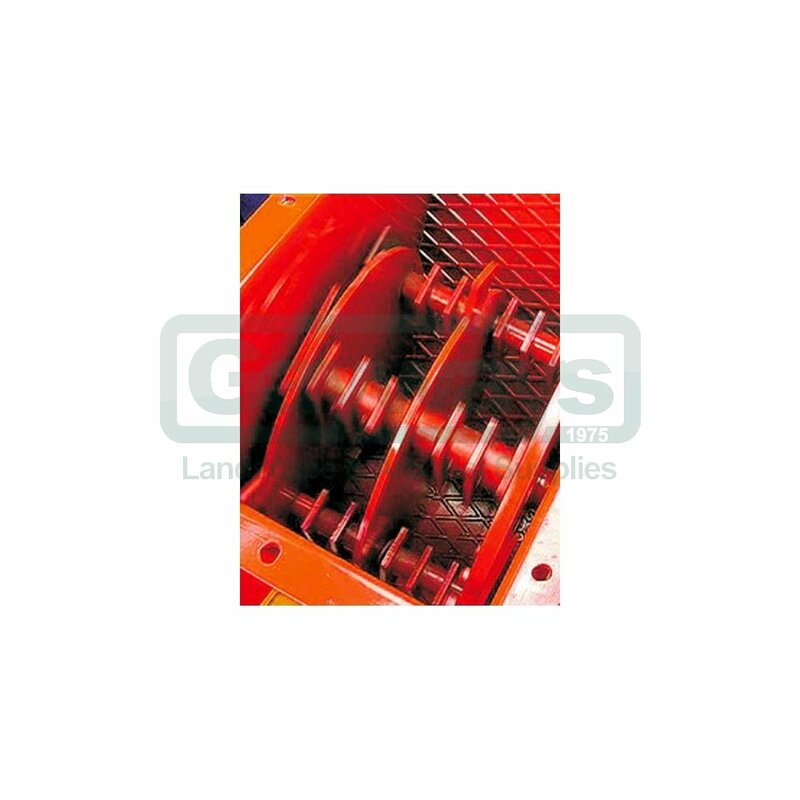 For safety, the discharge area is protected by a grille and a rubber flap to help control the direction of the discharged material. What are the minimum power unit requirements? 8.4hp petrol or 6.1hp diesel engine. 4.00 x 10 agricultural wheels. Are any couplers or toolbars needed? If the power unit has the Implement Quick Coupling fitted then an Additional Coupler will be required. Please note: The BCS 660 and 750 power units, and the CAMON C15, have their own specific coupler.